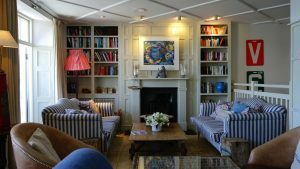 Finding the right storage solution for your needs can be a little overwhelming, especially if you are also dealing with a life transition. Many people have self-storage questions, and need answers, but they are not sure where to begin. 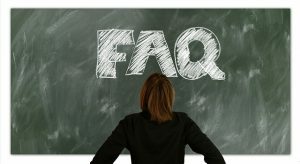 To help our customers navigate these situations, and get the self-storage help they need, we have put together a convenient list of frequently asked self-storage questions we call our Storage FAQs. How much does it cost to rent a storage unit? Of course, one of the top questions about self-storage units involves cost. This is understandable, as it’s usually considered at a time when budget is of concern. The price of a storage unit is based on the size of the unit, and is usually charged as a monthly rental fee. Additional amenities, such as climate control, will also affect price. If you are looking to comparison shop for storage rentals, make sure your quotes don’t just reflect introductory rates for the first month of service. Make sure you inquire about current, full prices when comparing costs. What size unit do I need? The size of the storage unit will depend on the amount of items to be stored. Most storage companies offer units sized to store everything in a small closet all the way up to a five-bedroom home with a garage. Most storage companies also offer a storage unit size guide on their website to help you choose the storage space that is most appropriate for the items you need to store. You can find this information on the Bargain Storage site on any of our location pages. What can I store? Most everything from your home can be stored in self-storage. This even includes cars, boats, motorcycles, and scooters. Of course, it also includes household goods, from books and furniture, to clothing and file boxes. There are, however, a few restricted items, such anything flammable. What amenities do I need? Storage units offer different amenities, from climate control to drive-up options. This is where the customer can make choices that fit their individual storage needs. Depending on what you’re storing, and the climate of the location you are storing it in, you may want to choose a climate-controlled unit. These units are best for places with fluctuating or extreme temperatures, and they are very important for the storage of items that can be damaged by heat or freezing temperatures. Such items would include electronics, art, and valuable wood furniture. You may also wish to choose an indoor storage option to avoid any contact with harsh elements. Most indoor storage units are accessible via standard-sized doors and hallways. If grabbing things quickly from your storage unit is a priority, then drive up storage may be the better option. It allows you to quickly remove and transport items in storage to take home and unpack, or to use as needed. Please feel free to give us a call at any of our locations to discuss your self-storage questions. Our staff is well versed in the options, can give you peace of mind, and reliable self-storage help. And, thank you, for reading our Storage FAQs!